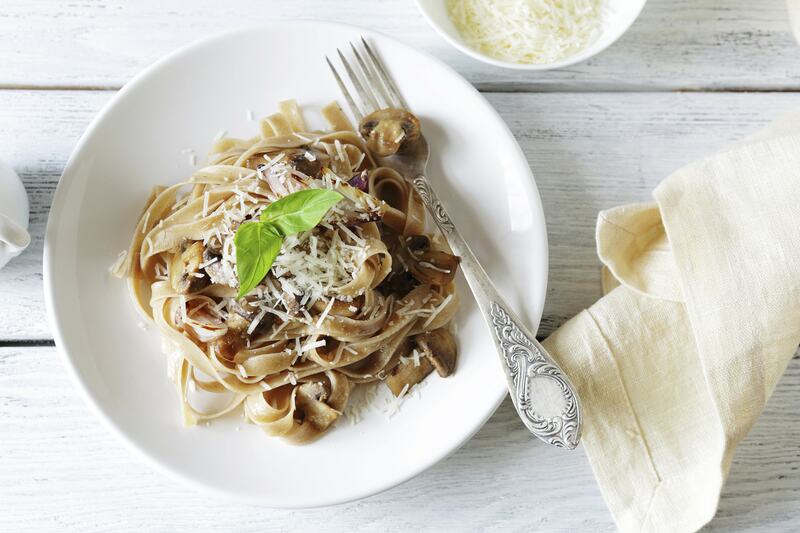 Try this freezer friendly mushroom ragu. Mushroom ragu is wonderful right after it’s made—but it also freezes well so you can simply thaw and stir through your favourite pasta. Prepare all the ingredients based on the instructions in the ingredients list. Soak the dried porcini mushrooms in the small bowl in 150 ml of warm water. Set aside for 10 minutes, then drain and squeeze, reserving the soaking liquid. Heat the butter and olive oil in the large frying pan over high heat until foaming. Add the garlic and wait until it is golden brown and then add the mushrooms. Stir for 2-4 minutes, until soft and golden. Pour in the stock and reserved mushroom liquid, and simmer for 10-15 minutes. Stir through parsley, extra olive oil and season to taste. Mix ragu through the pasta. Sprinkle parmesan and extra parsley over the top.